Christmas lights galore, a snowy Christmas Village filled with 100â€™s of homes, businesses and 1000â€™s of people and animals.Â You will see one of the largest collections of Nativity scenes in the Southwest, ranging from life size to Â½ inch tall. And the Main Eventâ€¦The Animals!Â Stop by and pet a donkey!Â We have 5 and 3 of them are minis, 8 goats and 4 of those are minis, and also our new cow Jax.Â Heâ€™s so sweet!!! Live music and caroling, fun for the whole family from 2 to 92.Â Something for everyone! Come by and make us a Christmas Tradition like so many other Arizona families have.Â We are an Annual Holiday Pilgrimage for families all other the United States and Canada.Â Stop by and see why. Listed on AZ Centralâ€™s â€œTour of Lightsâ€, featured on ABC 15 News, CBS 5 News, 3TV News, My Fox 10 News and NCB 12 News. Winner of â€œBest Christmas Display to Visitâ€ by Scottsdale Independent, featured in the Arizona Republic Newspaper, 1st Place Prize Winner for best display by Paradise Valley Independent & Don Morleyâ€™s Christmas Lights Tour DVD, and Best Religious Display. Location: Â 4345 E Carol Ann Lane, Phoenix, AZ 85032.Â Thatâ€™s Â½ mile North of Greenway & Â½ miles South of Bell Rd. When:Â Saturday, December 13th through Monday, December 22nd, from 6pm â€“ 9pm nightly for 10 nights! 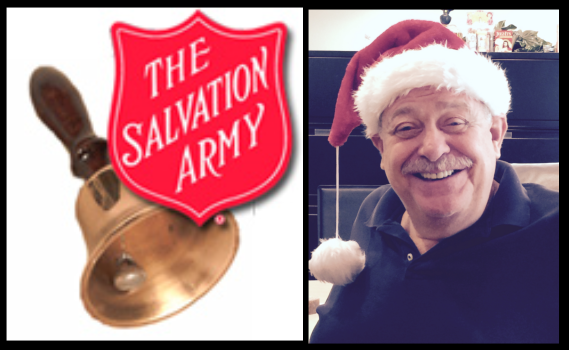 On Christmas Eve, December 24th from 11am – 1pm, I will be ringing the bell in front of Fry’s at Tatum & Shea.Â Hope to see you there! Scared to buy or sell because prices are â€œcrashingâ€? They arenâ€™t. The water is safe.